Mixed-media abstract collage from found and altered papers, canvas, film strip and rubber. 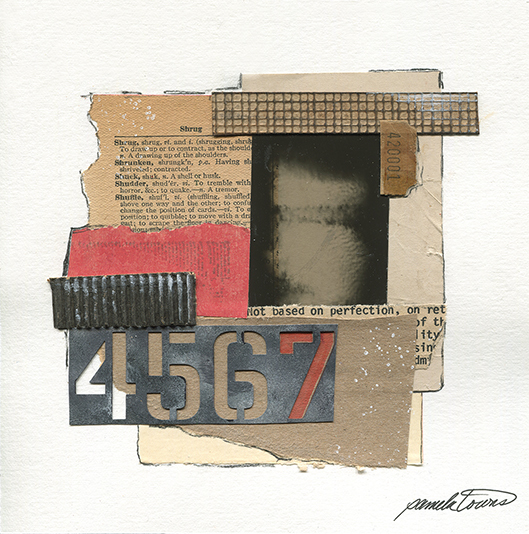 Mixed-media abstract collage from found papers, film negative, textured papers and ink. Print for sale in Etsy Store! Avoid topics like politics for we have lost all means of healthy debate. 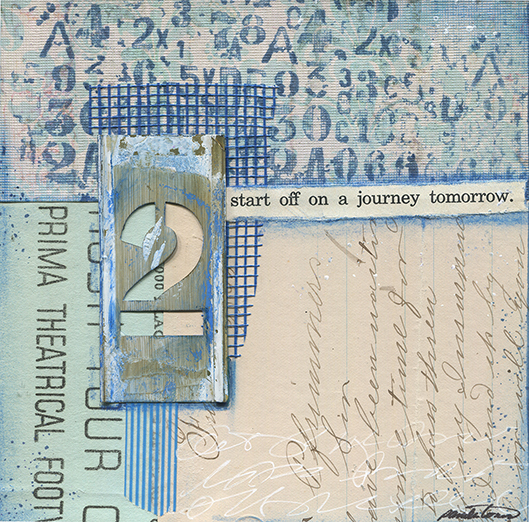 Mixed-media abstract collage with found and artist papers. 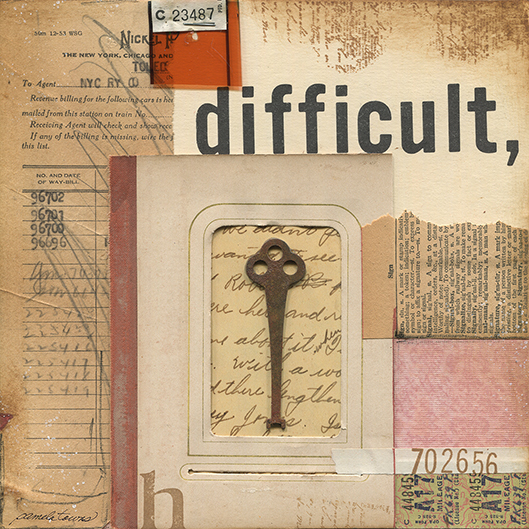 Difficult . . . to say the least. 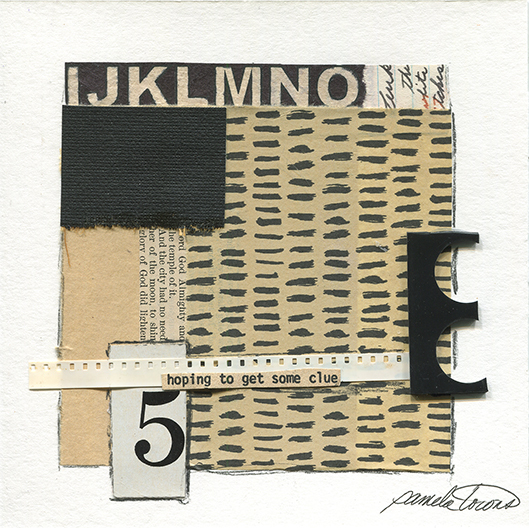 Mixed-media abstract collage on paper with found papers, film, vintage key and ink. Make a peaceful protest to be heard, for injustices, for those who can’t. 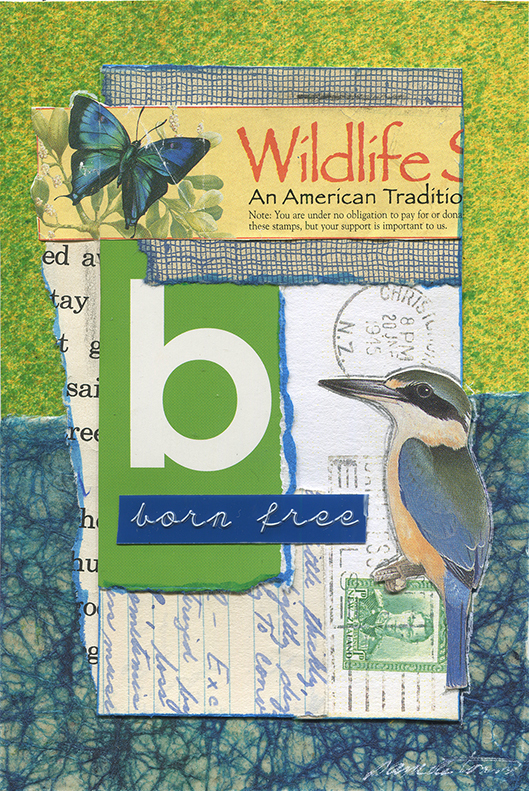 Mixed-media abstract collage from found papers. That “Glorious Refrain” when you just step back, listen closely and say nothing — it’s serene. 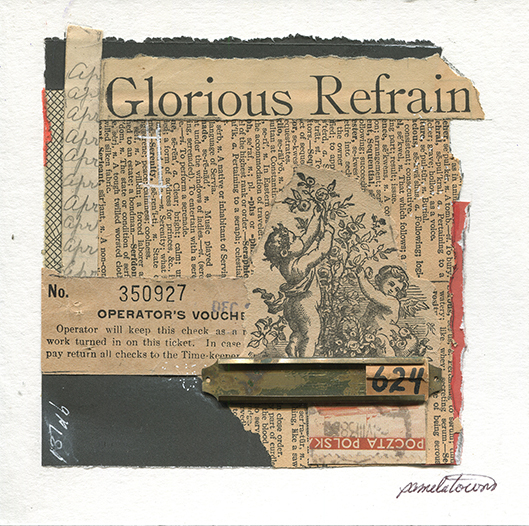 Mixed-media collage with found papers, ink and a brass label holder. 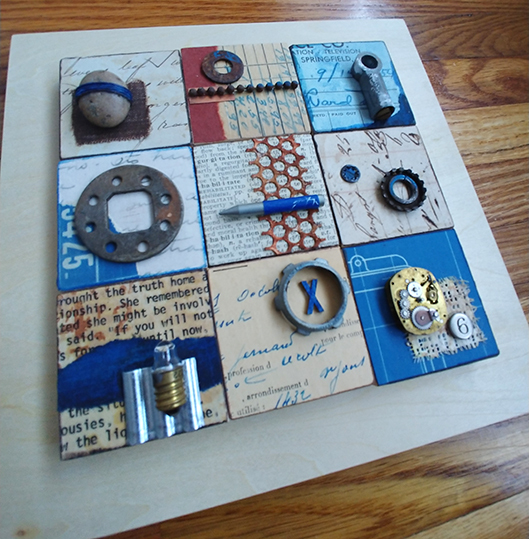 Found objects with found papers on 2″ x 2″ wood blocks mounted to cradle board. 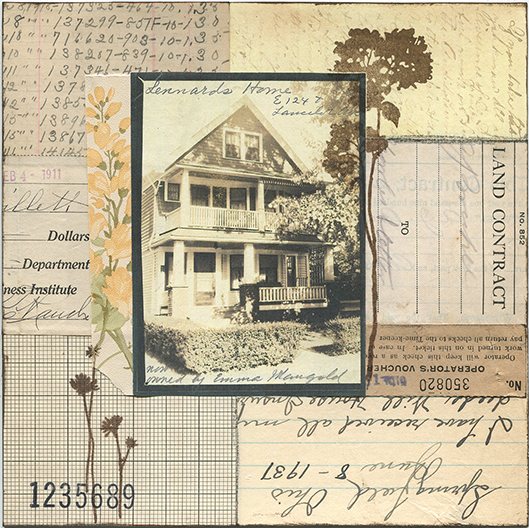 This mixed-media abstract collage was inspired by the vintage photo of “Leonard’s Home.” It was matched with vintage papers, wall paper and ink. 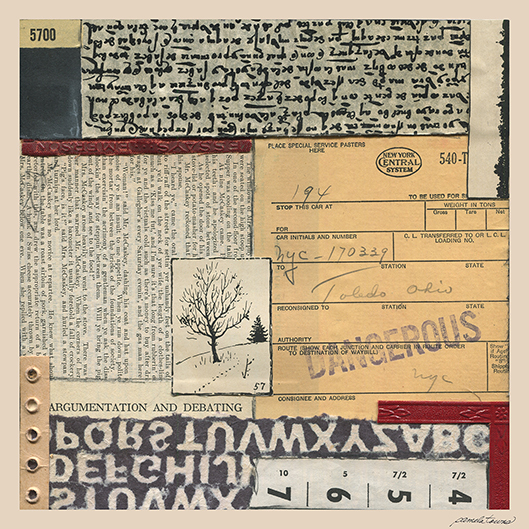 Mixed-media abstract collage with painted and handmade papers, vintage papers and book pages, stamps, security envelope, flashcard and embossed label tape. Step Two . . . start off on a journey tomorrow. 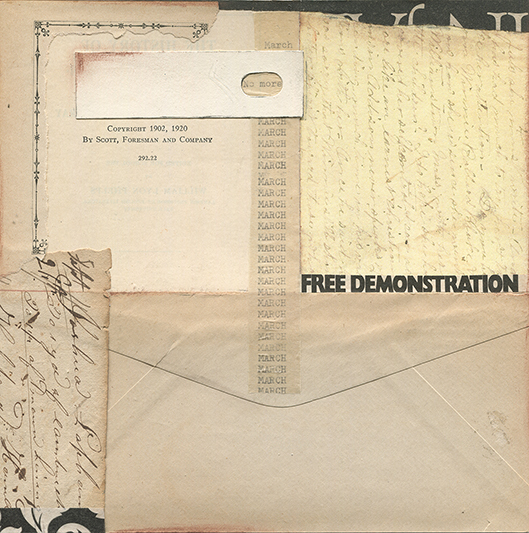 Mixed-media collage on paper with found papers, ink and brass.